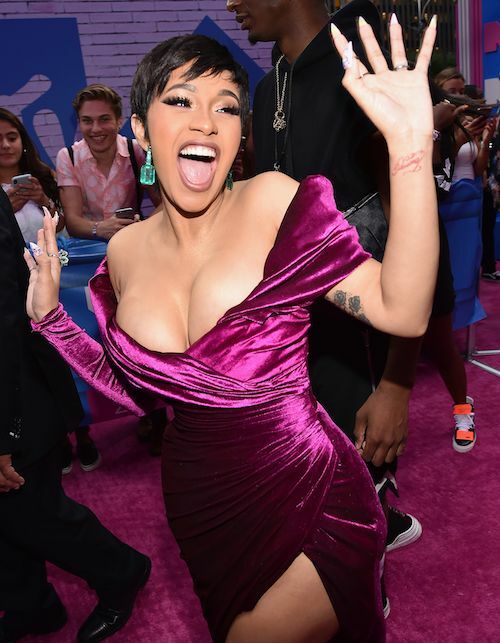 Cardi B. pulled out the power pink to mark her official post-baby comeback at tonight's MTV VMAs. The rapper is nominated for umpteen awards tonight, and she won her very first one before the show even started. Pulling up to Radio City Music Hall in NYC, the brand new mama rocked a magenta velvet Nicholas Jebran asymmetrical, dramatic off-shoulder dress redesigned by fellow Dominican stylist Alexander Costa. 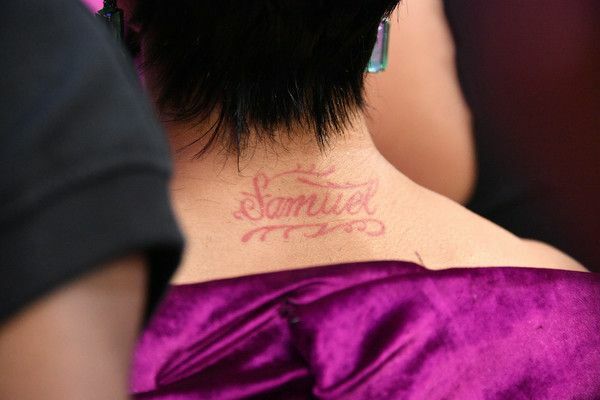 She paired the look with Lorraine Schwartz jewels, coifed wiggery and matching pink satin shoes perfect for strolling down the pink carpet and showing off her pink tatts. Before she could troll us all with a fake baby Kulture during her opening monologue, Cardi won her very first VMA for having the Song of the Summer. "I Like It" has literally been everywhere all summer, and we can't escape that ish. Looks like it paid off though.